Today we learn what a box mod vape is and also what atomizers you can use with a box mod vaporizer, such as Atomizers for Wax, Dry Herbs, and Oils. 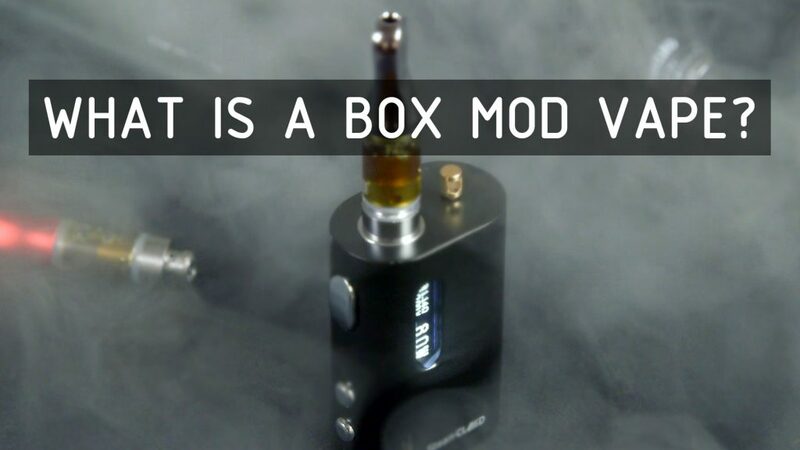 What is a Box Mod Vape? Box Mod Vapes are essentially vaporizers with advanced features and high capacity batteries for long life and extended power range to accommodate large tanks for e cig juice and the large puffs that many serious vapors chase after. It was the e cig market that first popularized box mod vaporizers but because they are great for travel with their big batteries and because they are powerful and will operate with numerous attachments for cannabis, they are growing in popularity with marijuana users as well. You can find attachments for using dry herb, wax as well as THC/ CBD oils and they are compatible with almost all 510 thread cartridges. Why choose a box mod vape? The big removable batteries make it easy to replace or upgrade the batteries. You can also keep a spare battery charged making it great for long trips and extended use. The ability to have such a wide variable wattage range allows for use with large tanks with custom wrapped coils for cloud chasers. But also allows you to lower the wattage to use with smaller cartridges and coils. Box Mods also offer maximum compatibility with attachments when compared with other types of vaporizers. Not only are many attachments made for them exclusively, most others will work with box mods if you adjust the settings appropriately. What attachments work with box mods? What are the drawbacks of box mods?